We have captured the results of several wine competitions in a searchable database that we offer as a part of our membership services. The database can be searched by competition name, award type, wine type and winery name. The results are for all awards won by any winery, not just those won by Foothill Wineries. We have listed below the competitions we have included to this point with a little information on what makes them special. It is safe to say that if a wine wins an award in one of these competitions it is a wine of good quality. However, the reverse is not necessarily true; just because a wine did not win an award in a competition does not mean it is a wine of poor quality. Many wineries never even enter contests, but that doesn't mean their wines are not excellent. 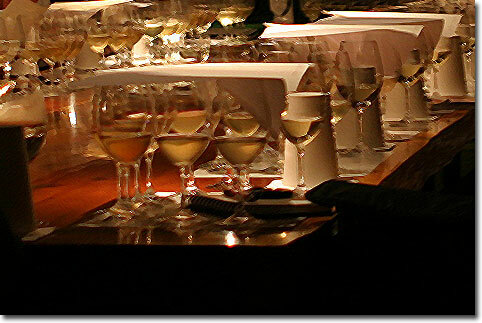 Also, most wineries enter only a portion of their wines and many very nice wines never get judged. Many of the Boutique wineries make less than 200 cases of a given vintage. That does not leave extra wine for entering competitions. For these reasons, this information should be used only as a tool. Includes almost 15,000 awards given to over 900 wineries in nine competitions; 7 in California, 2 major competitions from outside California. The information included is the award type, winery name, wine type, grape region, vintage year and the wine name when available. Special awards are not included. Searches can be done by any data categories and will return information sorted by your criteria. The competitions included are for the award year of 2006 with a few from 2005. Click here for the Demonstration Medals Database. 4 additional competitions coming by the end of the 2008. Click here for more information on our Membership Advantages. On the next page is a little information on the Competitions we have included in our database to this point.